Meanwhile the US War on Drugs grinds on and total Federal and state spending on this disaster will lurch over $35 Billion this year. in his last speech as President, Eisenhower pointed to the “military-industrial complex” as a threat to the nation’s security and health. Since then, hisotry has added new layers of meaning and expanded the scope of this phrase. 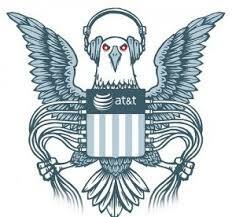 Today, we are in the thrall if not control of the Military-Industrial-Congressional-Executive-Spying-DrugWar-Complex. The War on Drugs has a record of failure and destructive outcomes now over 40 years old. Nevertheless, this behemoth roles along, getting bigger and more global in its reach every year. No Republicans or Democrats are willing to abandon the policies and rhetoric so cynically initiated by Nixon. Even this year of the so-called deficit debate, when Republicans and Democrats are willing to throw every bit of discretionary social or infrastructure spending under the bus, the War on Drugs (and every other element of the Military-Industrial-Congressional-Executive-Spying-DrugWar-Complex) is off limits. Go to the website and read further. They provide case studies from around the world to illustrate their case for these principles and policies.